1) What are your own origins, Isaac? My family have always highly valued the skill of creativity, so I was always working at developing this skill as best I could. Over the years my interests shifted from comics to music, then music to writing, and it’s only been a year since I came back full circle to comics again, now that I’m 30. Thankfully my work is better because of it, so that’s a word of encouragement for all you late bloomers out there. 2) What inspired you to create, ‘The Boy and the Dragon’? Growing up, my dad would tell us bedtime stories so naturally I made up stories for my son. In addition to this, my son has autism and I think that has substantially influenced my story and helped shape it into something different than what people are used to hearing. 3) In your own words how would you describe this story? 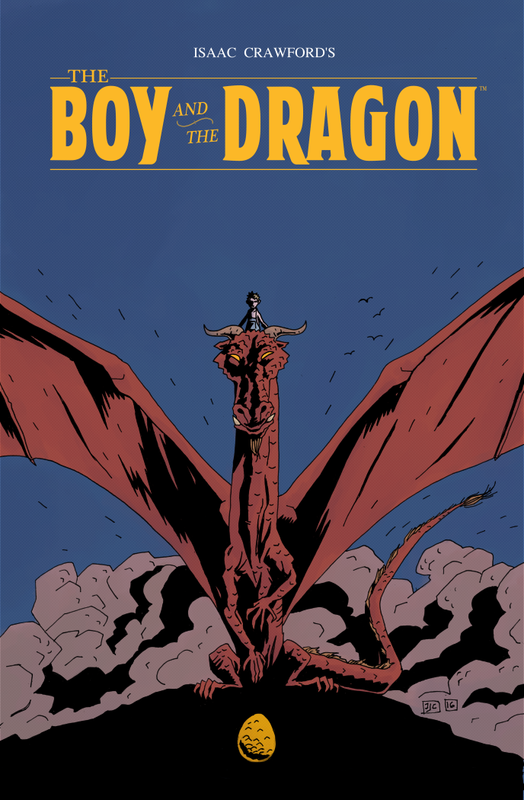 A boy and a dragon become best friends but are separated, finding each other again only when they are nearing the end of their lives. Stylistically, it is a folktale: a simple, spoken-word story that communicates life-lessons. It is pure and simple and just cuts through to the core of what it's like being a child again. I should warn you that it is a bit heartbreaking, but in a good way. 4) What song would you say best represents this comic and why? “Tears in Heaven” by Eric Clapton. He wrote it for his son, too, and it is also raw and simple. The difference being that his is much sadder since he literally lost his son, whereas I am only reflecting on the fear of figuratively losing my son. 5) If you could get a celebrity – either living or dead – to promote your wares, who would you choose, and why would you want to choose this particular person? 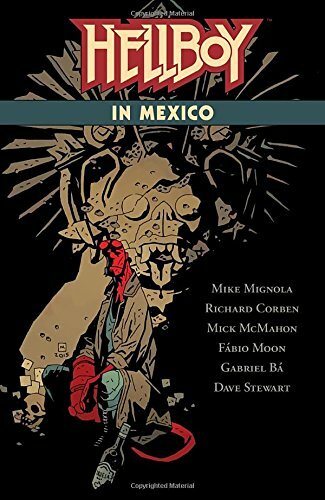 I have always enjoyed the work of Mike Mignola. 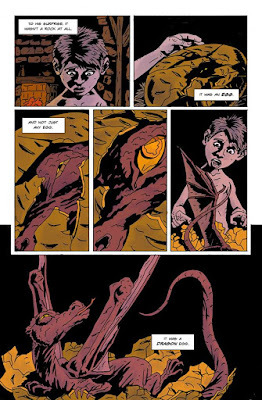 His art serves his story so perfectly, and it’s like every line he makes is another form of handwriting. Of course I have a long way to go before reaching that level of artistry, but if he somehow expressed admiration for my work, that would be the best thing ever. 6) What have you learnt about yourself through this endeavour? I gained a lot of confidence as a storyteller. There are very few words to this story so the pictures really have to do a lot of the work, plus the simplicity of it challenged me to slow down and focus on elegance. How I view myself has also changed, after doing such a personally meaningful project and the universe sort of aligning with that. If I can reproduce this feeling indefinitely I should have a splendid body of work when all is said and done. 7) During your time in this field, what is the one thing that has kept you in good stead? Besides a supportive wife! Yes, well, making comics is hard work so you have to have something wrong with you to pursue it as a career! Luckily, I have a sick need to be creative and share it with others. I’m also very disciplined and headstrong. Without that, I couldn’t see a project through in a timely manner, especially since I have a day job and kids. And so on that splendid note, I'd like to thank Isaac for telling us about his comic book, The Boy And The Dragon, before directing you towards is website, facebook, and twitter pages.